I want to make you all aware of an important Compo Beach issue currently under debate: building bathrooms and an unobtrusive sidewalk at South Beach (the BBQ area). Tomorrow night we on the RTM will vote on whether or not to approve funds for design and engineering services for restrooms and a walkway at South Beach. The RTM has been receiving dozens of emails against building bathrooms and a walkway at South Beach and against the proposed engineering plan, but none in favor. The current walkway along North Beach is unobtrusive and used only 7 feet of the asphalt parking lot to build (no beach). It is used heavily now, especially by parents with strollers and the elderly who find it difficult to walk in the sand. More important, it keeps everyone from having to walk behind cars in the parking lot, allowing everyone to now stroll along the beach without worrying a car will back into them. The South Beach walkway would likely be similar. The new walkway extends from the pavilion to the cannons. Regarding building bathrooms at South Beach, the idea which the engineering plan would explore is to build 3 family-style bathrooms near the spot on which the port-a-potties now sit. I know when my children were young and I was BBQing with them, I would have loved family-style restrooms nearby as opposed to the port-a-potties currently in use. I also know when the port-a-potties were full, I could never have gotten my then 5- or 6-year-old to the North Beach bathrooms or Compo Boat Basin bathrooms in time! This entry was posted in Beach, Politics and tagged Compo Beach, Lyn Hogan, South Beach, Westport RTM. Bookmark the permalink. Its the sand and the sound a vibrant natural environment where development diminishes its beauty. Chip–your insight and knowledge is always helpful–thank you. What now concerns me is the lack of transparency by Parks and Rec regarding the subject of bathrooms at the South Beach. Why would we spend tax payer money on a study or design if we face the ‘ugly’ issue of building what could be structure that would need to be raised at least 5 to 8 feet above ground? I consider myself someone who follows what is going on in Westport (and another shout out to 06880 and Dan for getting this conversation going) and I have never heard about the FEMA issues regarding the bathrooms until Dan’s blog came out. To me–this stinks (sorry I had to do that). Not everyone wants a South Beach sidewalks. We sent this email out 24 hours ago and got a big response to keeping the South side of Compo Beach as natural as it is today. We are emailing you today because in 2015 some of you signed a petition regarding changes being made to Compo Beach. 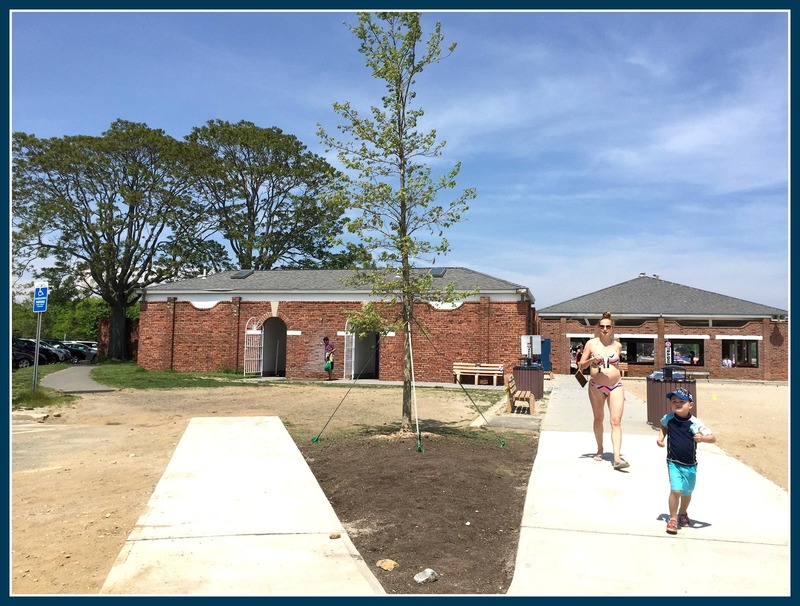 Those development efforts at Compo Beach are once again underway and we want to update you about planned changes being proposed now to Compo Beach, specifically South Beach. On Tuesday, October 4th at 7:30 pm, Parks & Rec. will be asking the RTM to approve their request for $70,000 for a new design and engineering service plan to construct, amongst other things, a 7 foot wide sidewalk that would run all along South Beach. Background: In 2015, We had over 1,200 Westporters sign a petition demanding that Park and Rec. not dramatically alter Compo Beach. It took several standing room only town meetings, (One of the audience members famously yelled out “you are fixing a problem that doesn’t exist!”) once the many residents of Westport spoke out against dramatically altering Compo Beach, the Park and Rec..Commission finally listened. They listened then, but unfortunately, not before they had spent $50,000 in FY 2015 for two different plans. Neither of which were ever used because Westport residents told the Parks & Rec. Commission that they were out of touch with what the residents wanted. Now we have yet another effort by the same folks and a request for another study – again, without first finding out what the residents want. We believe that this time, before we needlessly spend anymore money, why don’t we first conduct a survey and ask the town residents what they want? Consider: In the last 6 months the Town of Westport has sent out 2 surveys asking residents to participate. We would like the Town of Westport to do the same thing here and conduct a survey asking the residents of Westport what we would like to see at Compo Beach? Please email your RTM Representatives asking them for such a survey before they go forward and fund this latest “plan”. We hope that you can come down to Town Hall Tuesday night at 7;30pm and express your opinion. And, please, forward this email to your friends & family. Remember: It is our beach but we have to fight to keep it! De–great job requesting the survey–it is the right thing to do. Before the town spends a lot of money it would be great to get the feedback from the residents. On a side note, I thought the survey on the Fire Department was a waste of time as the state is going to implement shared services between towns to save money. Call it Regional Fired Departments. Not sure what the intent of the survey was or what they were trying to accomplish. As a BBQer, the current situation with bathrooms is unacceptable. Not only is it an ‘eye sore’, but it literally stinks (no pun intended). But do other people in town think the same? Lets find out. I have been reading up on this issue of bathrooms on South Beach and from what I find there can be construction and FEMA issues with permanent bathrooms. Someone had wrote about this, so does anyone know if the bathrooms need to be built on ‘stilts’ due to flooding? What are our choices? With all the FEMA issues down by the beach I am surprised this is not out in the open for all to understand. Again–thanks for all you are doing. Can we get real bathrooms on South Beach? You can argue the sidewalks but I find it difficult to hold off on switching from Porto potties to real bathrooms. I am surprised that Compo beach doesn’t have recycling bins near the garbage cans. I personally bring my empty bottles and containers home to recycle, but it saddens me to see how much recyclable garbage is loaded into those garbage receptacles. Just wondering if that’s something the committee can consider. I want to help save the planet for my kids’ sake/future generations as well as preventing trash from entering the ocean. Maybe this is a step in that direction. I dutifully sent my e-mail to the RTM Members. Yes to bathroom. NO to sidewalks…the recently installed sidewalk near the yacht basin is seldom used. Walkers and joggers still use the road! Sidewalk at South Beach would be IMHO a collosal waste of money. Let’s see how many folk really care about the issue. I have sent an email to the RTM in support of a walkway and south beach bathroom. I suspect if we place it on the ballot this November it would win 9236 to 1200. Hundreds upon hundreds of walkers use compo beach. The new walkway, thank goodness, has made it safer. The extended walkway will remove us from the cars and will not impinge on the beach one iota..
My family uses the gravel walkway by the basin quite often and have to walk around others. Gravel like sand is harder to walk through so some may opt for the roadway. A walkway and south beach bathroom will be most welcomed. Look at the pleasure derived by so many at the compo playground (shall we go back to metal) and the recently renovated Levitt Pavillion just to name a few. Glad to know your family uses the gravel path. We are at the beach 6 days out of 7 and rarely see anyone on the gravel path but many, many using the road. Thought it was a great idea when it was built 2 years ago but now consider it a waste of money. While having new bathrooms or a sidewalk might be nice, spending tax dollars to build something that is (1) in a flood zone, (2) likely to be damaged or destroyed in the next storm, (3) contrary to our Town Plan, which specifically discourages development in flood-prone areas, (4) environmentally unsound, and (5) likely to further degrade the natural beauty of the beach and impair the vista (since the building will need to be tall to meet FEMA requirements) is not only foolish—but fiscally irresponsible. And this is especially true if you consider that Hartford is likely to cut our budget in coming years. Over 1200 residents have already signed a petition—how many times do we need to say no? Valerie–I first start by reminding everyone that the state has cut about $2 million to Westport–both from PILOT payments and also education funds to our schools. This is just the beginning of the many issues Westporters will face due to the budget issues. After 2 massive tax state income tax increases, we still face billion dollar budget deficits. I ask–is there a way to have the existing porto potties changed to something that is not permanent, but much nicer? I have done some research and found portable toilets that can flush and have sinks and other amenities that would make the experience better. Currently we have ugly ‘standard’ boxes that are horrible and ‘disgusting’ to use. These boxes, I would argue, already ‘degrade the natural beauty of the beach’. Can we change them to something nicer, that is not permanent so it should not interfere with FEMA requirements (as we do use porto potties already) and provide a better experience for those that use South Beach? I am also surprised the FEMA issue has not be raised to town residents by Parks and Recs. We do not need a study to tell us there would be FEMA issues from the start and constructing a permanent facility will be very costly. As a BBQer, nicer ‘temporary’ bathrooms would be much appreciated, and it would not change the look at South beach as we already have ugly structures sitting in the parking lot. OK OK…..I get the point. Now preparing house for Hurricane Matthew. Found this site which might fill the bill but have no idea costs for each of the choices shown. I was not going to post, but the Parks and Rec Commission has been quite transparent on these issues. In addition, I take issue with Dee Chapman’s posting. Despite spending hours with her, she continues to misrepresent the situation. The petitions containing “1200” signatures had many different wordings of the petition — for example, many had to do with the skate park and not changing the parking at the beach. Reviewing the signatures, many were children who only signed their first name, some others who put their addresses, had out of town addresses. Until recently the petitions did not have anything to do with the bathrooms at south beach or the walkway on south beach. In addition, she mentions two but there was also only one $50k payment which was paid in FY 2015 regarding the consultant regarding the conceptual master plan done by the Compo Beach Site Improvement Committee — which by the way did not include permanent bathrooms on south beach or a engineering or design on the walkway. This process has been both open and thoroughly vetted. 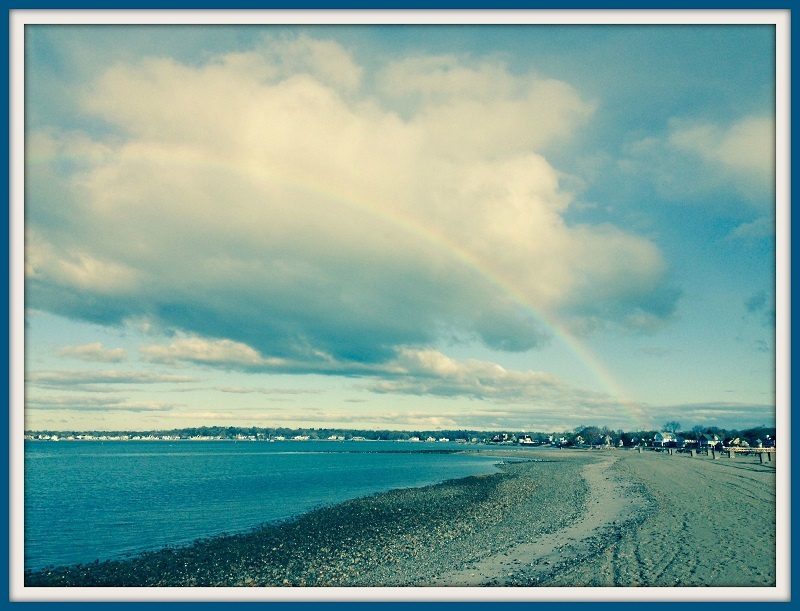 There were many meetings of the Compo Beach Site Improvement Committee, a charrette, and two very open and long Parks and Rec Commission meetings (the last on March 31, 2015) to approve items related to Compo Beach and its improvements. The Commissioners listened to public comment and as a result, on March 31, 2015 after a 5 hour open meeting the previous month, it voted 5-0 against changing the parking, 5-0 against changing the entrance traffic, 5-0 for pedestrian circulation separated from the automobile traffic throughout the facility, 5-0 for permanent bathrooms on south beach, 5-0 for repaving the basketball court and 5-0 planning and replacement of the bathhouse (pavilion) and 5-0 in favor of a new concrete skate park. As far as a FEMA and ADA approved bathroom, all new buildings at the beach will have the same need. The purpose of the approval of this appropriation is for the design and engineering study so we can determine the options for a walkway and bathrooms as well as the approvals needed. Included in the appropriation is around $10-12k for a survey of the entire Compo Beach (needed as well for any changes to the skate park or pavilion), $7k for the soil borings, the rest for the design/engineering study and contingencies. To Chip’s point, assuming the RTM approves the appropriation, the Parks and Rec Commission will work closely with Planning and Zoning and Conservation to ensure that their input is received before any Parks and Rec Commission vote on the actual walkway and bathrooms (which vote by the way will be in an open and public meeting). Charlie. Here is my question. If we know about the FEMA issue and the height and size, do Westporters want that size building? Before we spend a dime, why don’t we find out. $70k is a lot of money these days considering we already lost $2 million from the state and more state budget deficits are projected. I’m certainly not an expert on what FEMA will approve. The little I know is that either the building needs to allow the water through or be strong enough to withstand the onslaught. What that means in practical terms I don’t know. That’s why the consultant. It will have to be ADA compliant and past muster with FEMA. I can tell you we will be very careful with expenses and we will try to fit it into what is Compo Beach and we’ll take a minimalist approach. Charlie–I thank you for all you do–please know that. And congrats on the successful RTM meeting–you got the town to spend another $70K–which makes the total sum we have now spent on studies at the beach at over $100K. I am glad the town and RTM feel we have this kind of money available for something we will probably never use. It is hard to understand how a bathroom can be built with open slats (like houses at the beach) to allow water to flow through. It is also hard to imagine a flood and the effect on the surrounding areas at the beach with water that floods the toilet. But you also state we could build a building that can withstand the hurricane and floods. Wow–a bunker down at the beach. How much cost for those hurricane windows? I am surprised there is nobody in town, nobody on the P&Z that could provide information regarding FEMA so we understand what choices we have before hiring a firm to tell us the same. But money seems available this year–so congrats. I forgot to mention that the top two vote getter at the charrette were a pedestrian walkway around all of Compo Beach and permanent bathrooms at south beach. Charlie. When you got your vote for the permanent bathrooms did you mention the FEMA issue and the potential size and height of the potential building? Did you tell Westporters that we might have to add elevators and high ramps? And did you mention the potential cost that could exceed $1 million? Somehow I don’t remember reading anything about it? Sorry Folks! There are no great mysteries here. The GIS mapping has Compo at elevation 9. The FEMA site has the 100 year flood level at elevation 13. All of this means that a bathroom building at South Beach would have to be constructed with the top of the floor at approximately five feet above grade. Any local architect could design a very simple building which would be FEMA compliant and relatively inexpensive to build. This is done on a regular basis in the beach area. For any of you that can not “visualize” take a look at the pool house at Longshore designed and shepherd through construction below budget by Peter Cadoux. If the only “improvement” the commission wanted was a bathroom at south beach we could have it at a very reasonable price in a matter of months. Unfortunately their vision and intent is far beyond that. The commissions intent is to turn Compo into a city park. This proposed study and rationale surrounding it is merely a stalking horse for that quest. Michael. If you are right why did we need to spend $70K? By the way, how much do you think it will cost the town to run water and a sewer line to the building you propose? Great point Bart! They did not discuss this- but I did much to their dismay. I brought up these very points several times – On our RTM site visit at Compo Beach, at the RTM’s own sub committee, Parks & Rec Committee meeting which I am a member of – Charlie & Jen were there – and lastly at The Board of Finance meeting last week. Each and every time I made these valid points I was largely ignored and pushed aside by the P&R Commission. Catherine. I sit on the State Spending Cap Commission. I can tell you the state is facing some very difficult times. The next year budget is projected at over $1BILLION DEFICIT. And it could be much higher as we continue not to fund the states pension plan at a reasonable level. I am glad the RTM and Parks and Rec feel spending another $70K is ok. As you know this makes over $100K in studies that we will not use. We better be careful with town spending. We have been living on all the upgraded homes and the increase in property taxes. This is coming to an end and my prediction we will start to see higher property taxes soon. But maybe I am wrong….. I completely agree with you. I want you to know that mine was one of the 3 votes that voted NO to the $70,000 for Parks & Rec. I’m sure there are a lot of self-proclaimed FEMA experts in town, but I’m not one. I understand about elevation and I know ADA bathrooms have to accommodate folks with handicaps, but I’m not sure that either one specifies the height of a bathroom. If we connect the bathrooms with town sewer and water, we will need guidance of where we run lines will need soil borings for the footings. We need to do this right and the appropriation allows us to do that. Since we have not added significant staff in the Parks and Rec Department or Public Works and we have a myriad of projects going on they don’t have the time and perhaps the expertise to do projects like this. By the way we all have appreciated Mike and Catherine Calise’s input on Compo Beach. We listened and heard. We also heard what the townspeople said in the very many open town meetings. Democracy is messy and one has to compromise to move forward. However, I think Mike’s statement that the commission’s intent is to turn Compo into a city park is completely inaccurate” as is Catherine’s that “I was largely ignored and pushed aside by the P&R Commission”. Charlie thanks. I understand the process. My worry is simple-at what costs to westport is it to build this so called permanent structure given the FEMA challenges versus just using nicer potties? Good luck. As I have first hand knowledge of the difficulties in the state I hope we really debate this expense while we will face new regional costs and less dollars from Hartford. Mr. Haberstoh, as someone who resides in a FEMA rated flood hazard area, I was astonished to read of your uncertainty about what it presently means to build a compliant structure in one. Very astonished. One other thing: a few months ago the First Selectman gave me the firm impression that the odious practice by town officials of publicly calling out residents had been suspended. This is a response to The Chairman of Parks & Rec. Mr Haberstroh’s comment on 06880. 5 Weston residents who signed the petition are eligible, 1 person signed the petition that works for the Town of Westport and lives elsewhere, the other 4 should not have signed the petition because they live in neighboring towns. Regarding the 10 kids petition page. Some of those “so called kids” are eligible to vote for our next President this coming November. If you would like me to replace these 4 people with another 25 signatures, that I collected at the standing room only town meeting, I would be happy to hand them in now. The petition was written several different ways over a year’s time because the children from the skate park were also working hard getting signatures on a petition they wrote. The petitions said in one form or another do not remove the parking along the waters edge at Compo Beach and please keep the skate board park for the children of Westport. I presented all the petitions in the standing room only town meeting in March 2015. After that they mysteriously disappeared and were not recorded in any town location. After many inquiries I received an email in August 2016, from Charlie Haberstroh, saying he found them. Then they were copied in Parks & Rec. and I now have the originals. It was 20 months ago I handed The Parks and Rec. commission the original petitions, and I am still making an effort to keep the South/west side of Compo beach as natural as possible. Regarding what I wrote on 06880. I never said it the commission spent $100k for Plan A & Plan B what I did say was the total cost was $50K. On November 23. 2013, a charrette was held. That was 3 years ago. Let me remind everybody super storm sandy happened October 24, 2012. Which was almost 4 years ago…… What improvements has Parks & Rec. made to Compo Beach in the past 4 years? Two new blue basketball courts that have to be redone because they were not built to regulation size. Parks & Rec. did put in a new sidewalk along East Beach completed in June 2016. It’s been 4 years, 2 plans and $50k of our tax dollars and we still don’t have a complete design that meet our residents needs. What we do have, is planned piece meal changes to develop Compo beach, “Westport’s crown jewel” in phases. School budget could be up 4.1%–as presented to BofE by new Superintendent. How much will the town budget go up? Glad we are spending $70,000 on another study? Already spent money on another study for Compo we did not use.